See top sights in Paris, such as the Arc de Triomphe and Opera House! Very romantic place! The dinner experience was excellent and we were served well! The food is nice. Overall experience is worth the cost with the beautifully lit Effiel tower and ambience. We also get to skip the queue and gain access immediately. 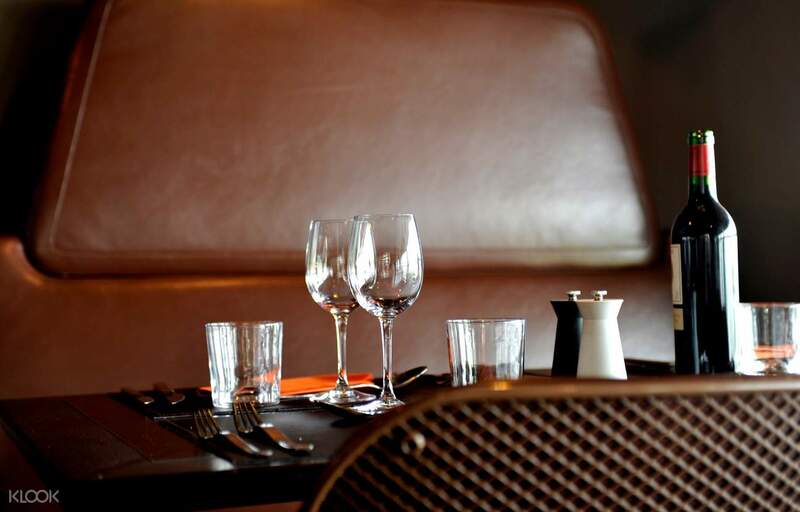 Experience a one of a kind, romantic dinner at 58 Tour Eiffel, overlooking some jaw dropping Parisian sights, such as the Trocadero and Parisian monuments. 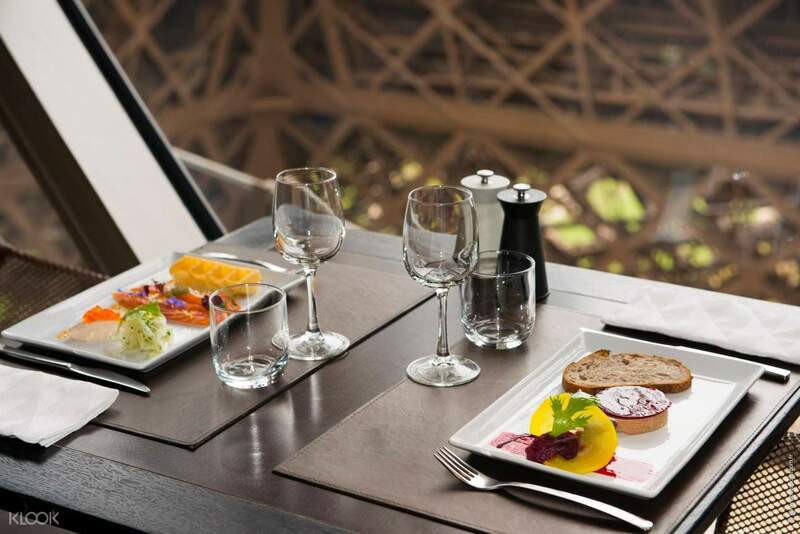 The 58 Tour Eiffel Restaurant is located on the first floor of the tower, and its name originates from the restaurant's height: 58 meters above the floor. 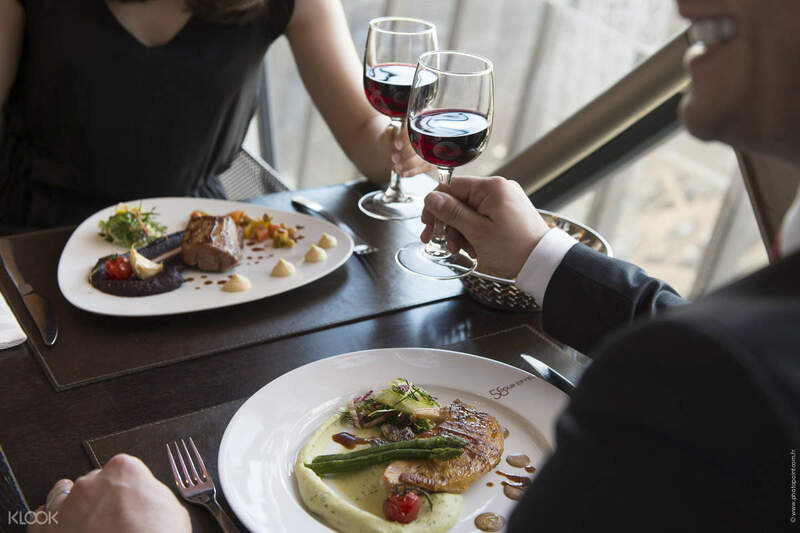 With this voucher, you'll enjoy a lovely dinner with the person or people close to your heart, as you delight in the stunning view of Paris from the 1st floor of the Eiffel Tower. A 3 course or 5 course dinner will be served, depending on your package, with wine, mineral water, and coffee. Dine on French classics like duck foie gras and roasted leg of lamb. You don't have to wait in line with this priority ticket, too, which gives you direct access to the first floor of the magnificent and iconic Eiffel Tower! This experience is perfect for friends, families, and lovers who want to make the most of their night in Paris. Skip the long queues with your fast-access ticket to the iconic tower's first floor and restaurant! 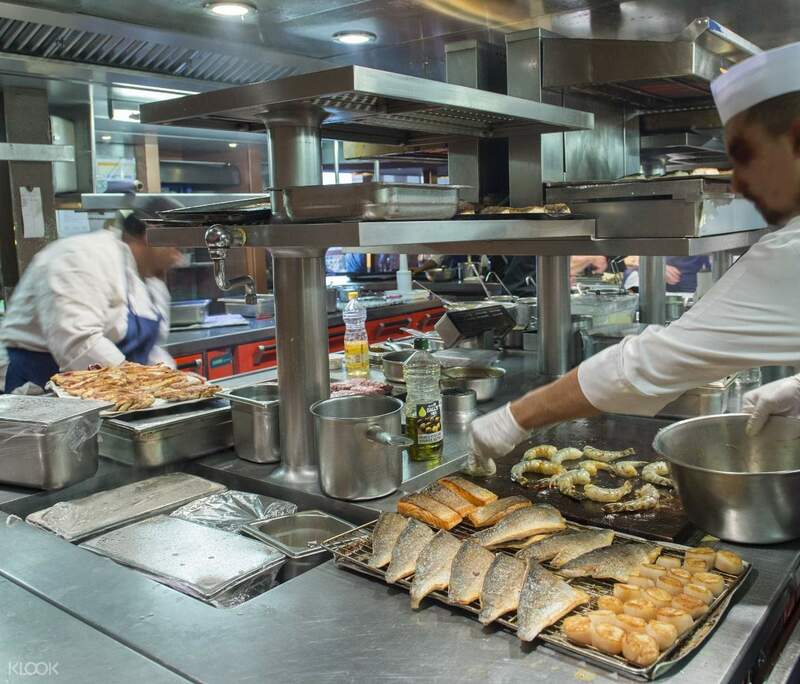 The restaurant is accessible for visitors with reduced mobility. A lift provides access to the second floor of the restaurant. Worth it! Very hassle free! Thank you klook! til next time! Worth it! Very hassle free! Thank you klook! til next time! Very romantic place! The dinner experience was excellent and we were served well! The food is nice. Overall experience is worth the cost with the beautifully lit Effiel tower and ambience. We also get to skip the queue and gain access immediately. Very romantic place! The dinner experience was excellent and we were served well! The food is nice. Overall experience is worth the cost with the beautifully lit Effiel tower and ambience. We also get to skip the queue and gain access immediately. Don't bother ask klook for help or support. Technically the 24 hour support is nothing but a bluff advertising which I don't get reply on my enquiry after my whole booking ends for 2 days after. There is no priority access either, maybe there is but still it won't worth your money. Food was fine just not suits our taste. Don't bother ask klook for help or support. Technically the 24 hour support is nothing but a bluff advertising which I don't get reply on my enquiry after my whole booking ends for 2 days after. There is no priority access either, maybe there is but still it won't worth your money. Food was fine just not suits our taste. Thank you for choosing Klook and taking time to leave us a review! We are very sorry to hear about the delay you encountered in receiving a response to your email. Rest assured, this is not the type of service which Klook offers. We will surely raise this matter to the customer service manager to improve and provide an excellent service to all our customers. Thank you once again for your valuable time spent in leaving us a review. Thank you for choosing Klook and taking time to leave us a review! We are very sorry to hear about the delay you encountered in receiving a response to your email. Rest assured, this is not the type of service which Klook offers. We will surely raise this matter to the customer service manager to improve and provide an excellent service to all our customers. Thank you once again for your valuable time spent in leaving us a review. Good dining experience with nice view. It worth for purchasing for such a romantic dinner. Good dining experience with nice view. It worth for purchasing for such a romantic dinner.